Alyssa Milano is known for so much more than her impressive television résumé, but that doesn’t mean fans aren’t interested in her thoughts about a certain pop-culture phenomenon that recently received the revival treatment. 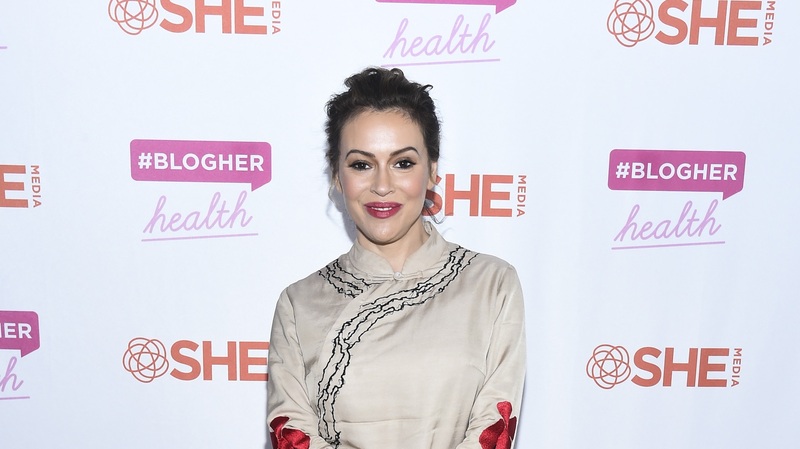 The activist and actor spoke at #BlogHer Health 2019 in Los Angeles on Friday, and when she wasn’t inspiring the audience with her powerful thoughts on women’s rights (and commenting on whether she’ll run for office one day), she had a chance to chime in on a topic close to the hearts of many loyal viewers of the original Charmed. What does Alyssa Milano think about the Charmed reboot? Well, she hasn’t exactly tuned in, and now she’s talking about why. “I have not seen the Charmed reboot because I feel like it would be hard for me to sit through it. It was such a huge part of my life, and I think the way in which it all went down from the beginning and not being included in those discussions kind of makes it hard for me to accept that it’s a thing,” Milano told SheKnows and a group of reporters backstage. Milano memorably portrayed Phoebe Halliwell on the hit WB series between 1998 and 2006. The show ran for eight seasons, becoming the second-longest-running drama on the network behind 7th Heaven. With @Jaime_King and SheMedia CEO @SamSkey7 at #BlogHerHealth19. Even though Milano isn’t likely to be a part of CW’s update of the supernatural cult favorite anytime soon, she has a lot on her plate these days. In addition to acting, being an ACLU artist ambassador for reproductive freedom and releasing an upcoming series of children’s books, she’s also producing projects she’s passionate about.